Clear your calendar - Donut Dash is back! Get your tickets now while you can. Come one, come all, walk...run, and eat donuts!! Donut Dash 2018 - 5K Run/Walk begins! Keynote Speakers will be briefly introduced before going over several keypoints that will be discussed this evening. Speaker: Andrea Lamperti, the Director of Internet Media Politecnico di Milano. Speaker: Carlo Noseda, President of IAB Italy. A great opportunity to learn directly from one of our founders. Car: We highly advise against driving to the race as parking is not guaranteed. However, there are some parking garages nearby. Subway: Take the C/E or 1 trains to 23rd Street. Walk west down 23rd Street towards Chelsea Piers. Please check MTA Trip Planner for up-to-date and detailed mass transit directions. - As we are not a USATF certified 5K, we cannot guarantee that our course is exactly 5K (though we did everything to be as accurate as possible), so we encourage you to download the MapMyRun app to track your distance and time. 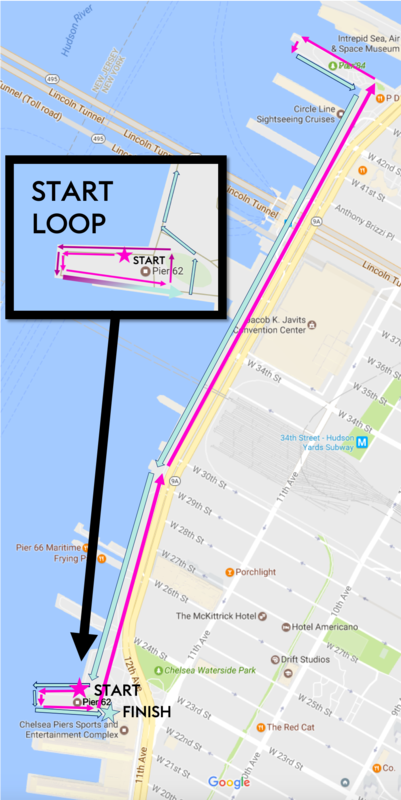 - Please stay to the right while on the race course (just like driving on the road), and look for our volunteers in blue Donut Dash t-shirts along the course. - Bag check will be provided, but we encourage you to leave valuables at home as we cannot take responsibility for damaged or lost items. - We will do our best to match your shirt size but cannot guarantee exact size requested. - There will be prizes for top male and top female finishers (please stay after the run for winners to be announced). Not a runner but still want to join us? Volunteer! Support! Volunteer on the day of the event or join a planning committee - email kyle@weareASH.org to join the team! Feel free to email kyle@weareASH.org if you would like more info or would like to join in sponsoring the event. 100% of donations go directly to our partner community. Plus, our 501(c)(3) status means your donation is completely tax-deductable.